I will be participating in the forthcoming IKT Congress organized by IKT Miami Committee and six partner institutions. My curatorial practice relates to the geographic region hosting the congress because already had some exchange with artists and curators from Cuba. In May 2018, I was co-curating the international group exhibition at the Cuban art centre Centro De Desarrollo de Artes Visuales, “Moments of Clarity”. Following on from that collaboration, I invited the Cuban curators Gretel Medina and Cristina Vivies Figueroa to the curator visit program in Copenhagen funded by the Danish Arts Council. Participation in the IKT congresses, will give me the opportunity not only to revisit Cuba, but also to visit Miami for the very first time. “This will mark the first time in IKT’s 45-year history that our annual convening takes place in the United States and we are excited at the prospect of expanding our network to include curators from the Caribbean, Central and Latin America and across the U.S. The IKT Miami Committee has crafted a 4-day program of visits to independent art spaces, museums and artists’ studios to introduce you to Miami’s cultural eco-system. 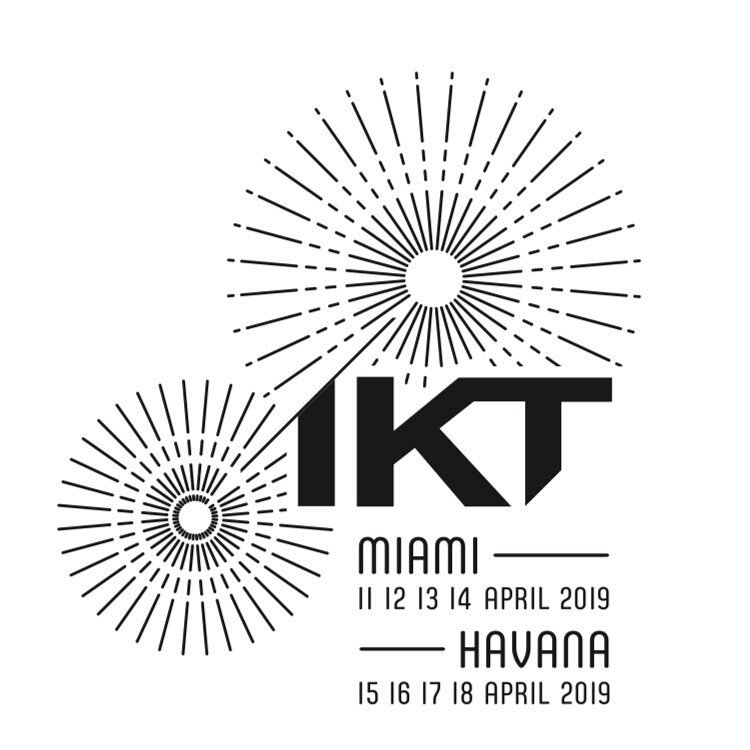 The 2019 IKT Symposium planned for Sunday, April 14, explores issues of resilience and sustainability through the lens of cultural production in South Florida, the Caribbean and Latin America. Organized by IKT independent curator Susan Caraballo, in collaboration with an advisory committee, the symposium will feature art historian and cultural critic T. J. Demos as keynote speaker.” – text from IKT website where it is possible to find out more information.